The biggest half marathon in the Midlands returns to the Second City on October 14 when runners, joggers and walkers of all abilities will tackle the new-look Simplyhealth Great Birmingham Run half marathon. The 13.1-mile challenge, featuring an improved route that starts on the Broad Street ‘Golden Mile’ and finishes on Jennens Road, attracts thousands of entrants to the city centre, each with their own reasons for running, be it to raise money for charity, in memory of loved ones or to achieve personal goals. Chris Brown, from Tipton, is on a mission to break down personal barriers. The fact he is taking on a running challenge of any kind is a monumental feat in itself. For the past three years, the 51-year-old has been battling the little-known Meniere’s Disease. Chris suffers from loss of hearing, tinnitus and vertigo, which can make any form of exercise extremely uncomfortable. “Fighting constant dizziness has been a massive challenge and I’ve had to stop many of my passions, including playing football,” he explained. “Meniere’s research suggests exercise can help the disability but when you’re faced with what feels like a constant hangover, it’s not really a pleasant thought. “But since March, I have faced up to and battled through what I would class as my own personal ‘pain barrier’ by starting running again. My dizziness, although not completely gone, has become more manageable. The half marathon will take runners down the infamous hill of Lee Bank Middleway, once a challenging incline near the end of the half marathon, through Cannon Hill Park and past such iconic sights as the Selfridges building, Edgbaston Stadium and Bournville’s Cadbury World. Joining Chris on the new-look route will be Becky Howard, from Worcester. 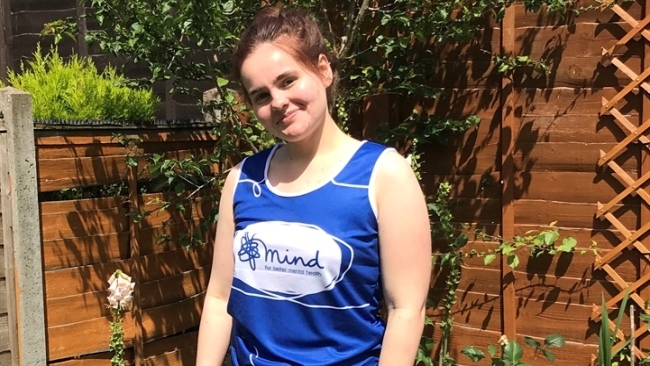 The 19-year-old is running in aid of Mind to thank the mental health charity for helping her overcome many personal battles. “During my earlier teenage years, I was bullied due to my weight and size, which really affected my confidence and attitude towards life,” said Becky. “I have also suffered from anxiety and depression on a day-to-day basis, but after getting the right help and having strong determination, I’m now completing all of my goals, including this half marathon. 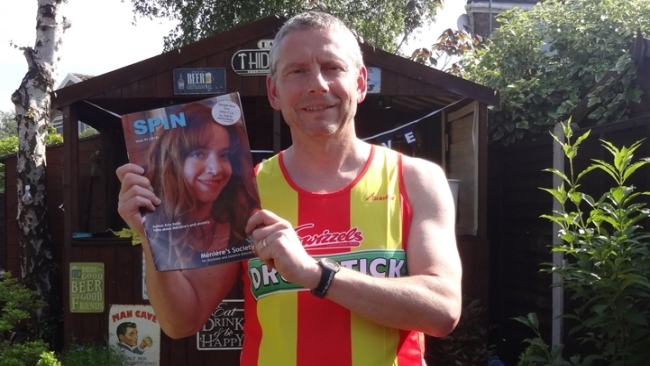 “I used to dislike running but I started to feel the benefits and have lost three-and-a-half stone. It has honestly changed my life and I want to help MIND help others who need support and guidance." 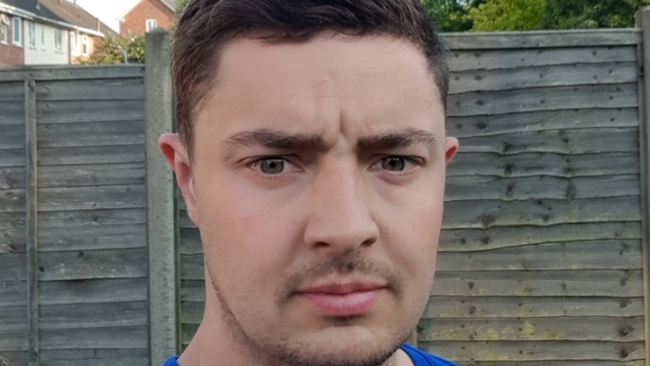 For Firefighter Ashley Brown, from Bridgnorth, the Great Birmingham Run will mark a decade of fundraising in memory of his two-year-old son, Cameron, who died suddenly from asthma in 2008. 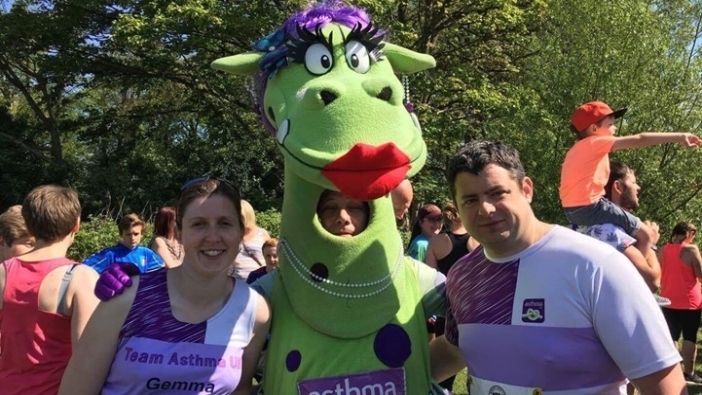 Since then, Ashley and wife Gemma, helped by their two younger sons who also have asthma, have been attempting to raise a staggering £100,000 for Asthma UK in Cameron’s memory – and are now only a few hundred pounds short of their target. Ashley said: “Cameron had previously experienced some minor wheezing, but when we lost him, it was to his first asthma attack. “He was a very cheeky boy who touched the hearts of many people in our community and we have been committed to fundraising for Asthma UK ever since, both in his memory and to help others with asthma. Jen Blackburn and Theresa Vaughan, police officers from Worcester, are running in aid of the Teenage Cancer Trust for dual reasons. Jen, aged 32, is raising money in memory of close friend Louise, who died from brain cancer aged just 22. The disease has also impacted the life of Theresa, 26. Her sister Millie, who has Down's syndrome, was diagnosed with Acute Lymphoblastic Leukaemia when she was just 18. In a short space of time, the illness and chemotherapy rendered her ‘unrecognisable’. Thankfully, Millie has since made a full recovery and is living a full and happy life. Theresa added: “Despite all the treatment, sickness and lethargy, Millie continued to smile and bring smiles to other people's faces. The Teenage Cancer Trust helped Millie and my family pull through this ordeal as a unit. They were a huge support system when it felt like our world was falling apart." Steve Mitchell, from Shard End, is raising funds for Duchenne UK after friend Hayley O’Rourke’s son Ciaran, aged just two, was diagnosed with Duchenne Muscle Dystrophy, an incurable life-limiting muscle-wasting condition. “I wanted a reason to run and the more I learned about Ciaran’s condition, the more I felt compelled to do something,” revealed the 31-year-old, a manufacturer for Arconic.